Some days we feel invisible; other days we feel maligned. Most days we feel anxious, and deeply sad (to the very marrow of the bone). Caring friends and loved ones are appreciated, but please forgive us when we are not able to tell you that. We see and hear your loving words; we feel your concern and care. But most of all we feel it when you cry with us, even if you are crying inwardly. That kind of love needs no words. We “know” that you share our pain, and while sometimes we just respond within our hearts, we do respond. When I yearn to hear the name of my child, it’s because of the feeling of invisibility and lack of understanding on the part of “comforters” that has gripped my own hurting heart over the last four years. I realize the awkwardness that most people feel when approaching a grieving parent or sibling. I felt it several years ago before my own daughter died as I approached a friend whose son had died. But, I do not understand failing to even address the loss when you really care about someone. It seems callous to me. In an attempt to help family and friends know what is generally appropriate and necessary in their relationships with the bereaved during the grief journey, I have written some thoughts and suggestions that are mine alone. I do not pretend to know anyone else’s path. Bereaved parents are often deaf to beautiful spiritual promises or objective understanding in the initial shock after the death of a child. “Preaching” to a grieving parent, or criticizing what may appear to be a lack of faith that God is in control, is hurtful not helpful during grief. If the bereaved are believers, they already trust that God’s promises and wisdom will return in time, but reminders that God gave His Son are not helpful. He is God; I am not. While I value His gift with all of my heart, Christ did give His own life. My daughter did not give her life; hers was taken. Please be sensitive with your words. Actually, just lose all platitudes when supporting someone you love. Sorrow is an emotion that must be felt, confronted and processed. If we had hope in God and life before the death of our child, we will again. Be patient with us. We must mourn and grieve even if it makes you uncomfortable to see us cry. The desire to be a part of life will return to our hearts, but it cannot be rushed. The bereaved have lessons to learn, and the best we can do is to learn them as they are presented. We learn to bury our children, to let go of the dreams we had for their futures, to learn how to live without them in our lives, to let go of our own futures with them, and to redefine ourselves without the beloved ones who held our hearts. Thankfully most of our family and friends have not had to learn these lessons, so they should refrain from telling us how to go about the process. We need to think these things through, and if we include you, just listen. Listening is a beautiful gift. The kindest actions I have observed are wonderful rituals in our society. Bringing of food—especially later when the appetite comes back, sending cards and notes that let us know you are thinking of our children or sharing memories of them are very helpful. But, please no advice! Love is shown best in action. •	Listen without imposing your own perceptions about their way of handling (or not handling) their grief. •	Love with your antenna up! Take your cues from their signals. •	Lose the platitudes. Your kindness and sharing the grief emotions says it all. •	Allow for individual differences. 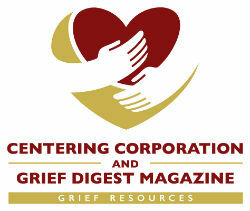 Leave preconceived ideas about how to manage grief home. •	Remember the bereaved for many years after the death of a child. The second year truly is harder than the first. Many years of cards, calls and concern are needed. •	Talk to them about your own children just as you always did before! •	Accept their “new normal,” just as they must learn to grow into it. Grieving parents do not return to their former selves. Trust the new individual. Following these suggestions will help everybody to grow in a healthy direction! Daina Simpson Mahon was an educator who worked as a private school principal for ten years, an English teacher and Outreach teacher to high school students for seven years, and a middle school language arts teacher for eight years. Teaching writing has been a passion of Daina’s for many years, but her proudest accomplishment has been being Devin’s mom. Devin was killed September 25, 2006, at the age of twenty-seven, as she rode her bicycle in Oxnard, California. Daina has written poetry and musings, and she has journaled as a way to express her grief. Devin was a writer, musician, actor, and lover of life.